The best choice at the moment is Redguard for PvE DPS. 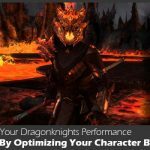 Since the Khajiit critical passive was fixed they have become a top contender for maximum DPS now. If you want a more well-rounded race so you can switch between multiple roles you can pick Imperial. 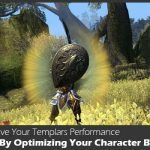 Magicka DPS & PvP: High Elf for the 4% increased dmg to elemental spells, also has higher magicka pool and magicka regen. You can still hit really good numbers if you pick Breton or Dark Elf (Dunmer) but High Elf will be your best option. Stats For Stamina DPS Builds: To do end game content you will want around 18k HP so you don’t get one shot. After you make sure you have 18k HP you should dump all your extra stats from attribute points and enchants into stamina. If you are still leveling up just make sure you keep putting some points into health, if you start getting one or two shot that means you are putting to many points into stamina. 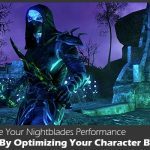 Stamina Based Mundus Stones: Most characters should run the Thief mundus stone for maximum DPS but Khajiit Sorcerers with a high critical strike chance should run Shadow. 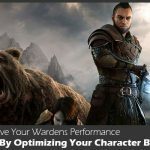 Magicka Based Mundus Stones: The Thief is defiantly the way to go for magicka DPS builds, the Thief increases your critical chance which allows you to use your ultimate “Overload” more often. 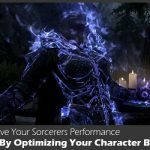 For healing builds you should swap mundus stones to the Atronach, the ability to consistently heal is way more important than your damage output. 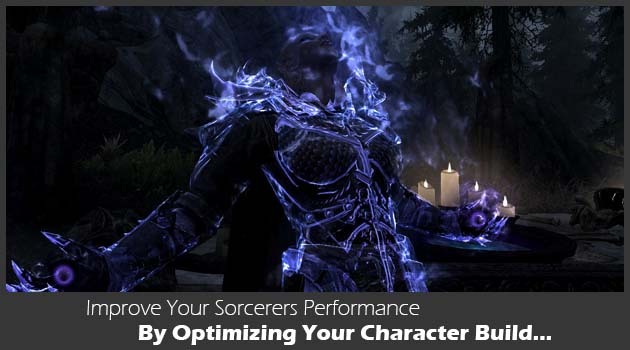 If you would rather skip all the work and just get a huge list of perfect build templates for all roles and playstyles, you should get our Character Builds Guide where we walk you through step-by-step how to copy the best builds within minutes and you can become one of the top Sorcerers in The Elder Scrolls Online.